People old and young lined up at a Halifax mosque to donate blood for the first Muslim blood drive in the Maritimes on Friday. “We really wanted to do a community driven event that was open to the whole public, and an option for people within our community to give back to the greater community within Halifax and Nova Scotia,” said Ahmad Hussein, the event organizer. After prayer last week at the Ummah Masjid Mosque, an info session was held where members could register to donate and find out their blood type. 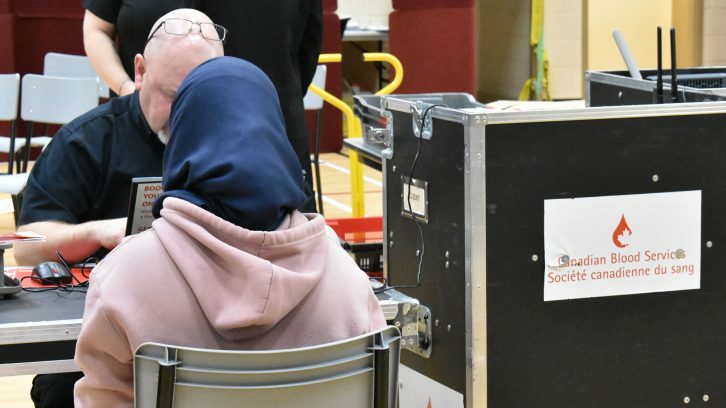 About a dozen Canadian Blood Services staff set up registration stations, screening cubicles and chairs with EKG machines and medical materials in the gymnasium of the Ummah Mosque, located near Chebucto Road and Windsor Street. A private chair and machine section was set up for those wanting privacy. More than a total of 40 donations were collected by 2 p.m. on Friday. Halifax MP Andy Fillmore and Nova Scotia’s Minister of Immigration Lena Metlege Diab stopped by to show support, though neither gave blood. While the facility is optimal for hosting the event said Hussein, it’s about more than being a host. 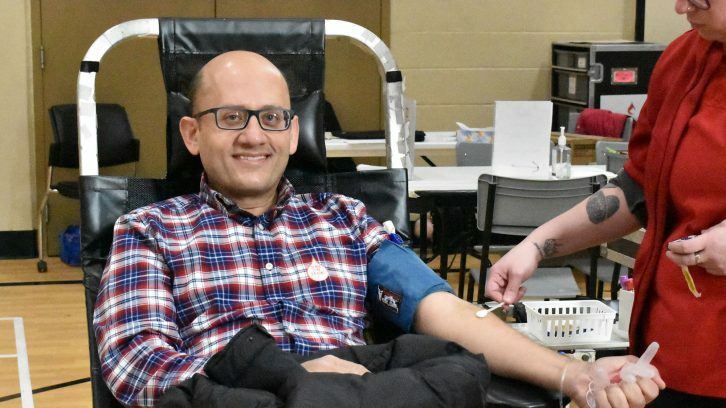 “Down the road we want the mosque to become an actual centre where, whenever there is a shortage or an actual crisis, we can convert our very large gymnasium into a facility for the public to donate and give blood to,” he said. Canadian Blood Services confirms this was the first Muslim partnership in the Maritimes, but they’ve done partnerships with other faith groups. The Qur’an tells Muslims saving one life is equivalent to saving all human life. For Hussein this was one of the many reasons why the partnership is valuable. 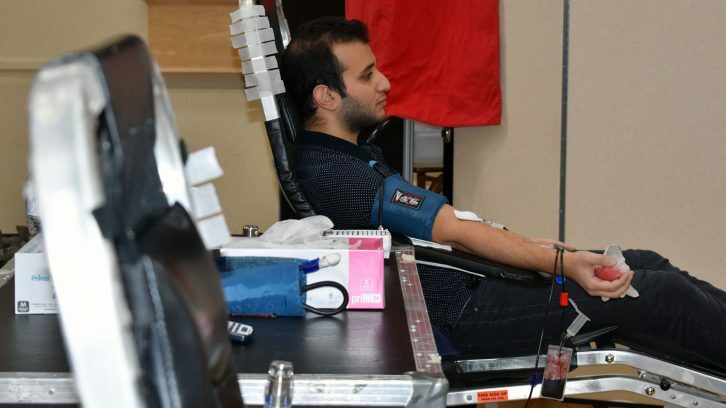 There are a lot of younger adults who are members of the mosque and the surrounding community, which is a good thing for donations said Canadian Blood Services spokesperson Kathy Gracie. Other Muslim communities in Canada, like those in Toronto, also have strong partnerships with Canadian Blood Services. Gracie and Hussein both said they look forward to growing their relationship.